There’s no right or wrong way to do it. With book clubs run by a library or organization, it often makes sense for a librarian or other leader to choose the titles on their own. Who says you have to stay indoors? Get inspired by these walking book groups and bring some fresh air to your discussions! There’s no single way to run a book group. And when the weather’s nice, it’s a perfect time to take a break from the kitchen table or community room and head outdoors. 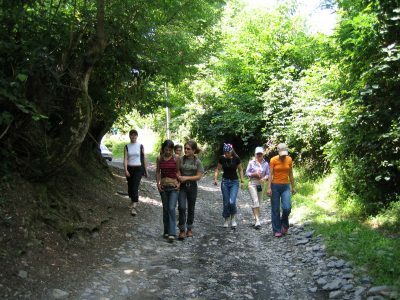 Walking book groups combine a bit of exercise with their discussion — before, after, or during their walk. 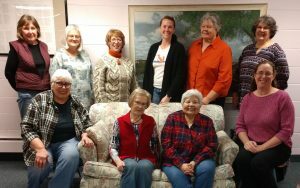 The members in our April Spotlight Group span the ages! Food for Thought has been around since 2008. Typically 12-15 members meet in the Gering Library Community Room once a month to discuss a book. “We make sure to include the One Book One Nebraska selection every year,” says leader Sherry Preston. Our members range in age from their 30s to their 90s, which makes for great discussions and varied experiences. To enter to become a Spotlight group, email a picture and description of your group to info@readinggroupchoices.com. 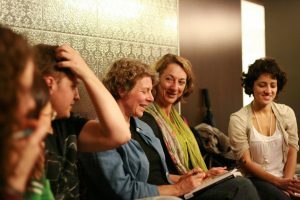 Reading Group Choices participates in book festivals, partners with bookstores, and hosts events all over the country! We hope to see you at an event this year! And please share these events with your book-loving friends around the country. We’re always adding more tour dates and new locations so be sure to check back in. Raise the curtain on adding plays to your book group’s discussions. 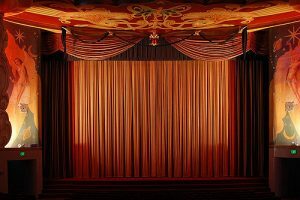 Reading Group Choices is pleased to offer these tips for reading a play with your group.